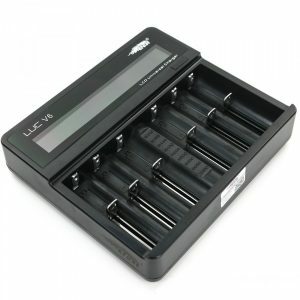 The Efest LUC Blu4 Charger is a high-quality product that combines performance and functionality. 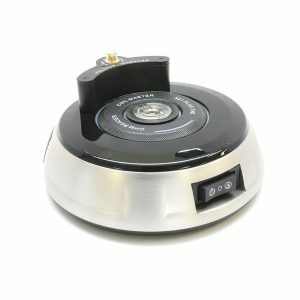 It features four charging slots and is compatible with a wide variety of Lithium batteries as well as many other features. 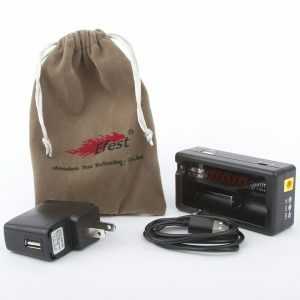 The Efest LUC Blu4 charger is a high-performance and high-quality charger that, uniquely, supports iOS and Android Apps. As a result, it requires Android 4.3 or iOS 7 and above. In addition, the charger has a notably large LCD screen that displays battery voltage and charging mode of each independent slot. Also, the LUC Blu4 features four slots which perform independently. Nevertheless, the device can power up four batteries at the same time. The Efest LUC Blu4 Charger comes with two optional charging modes (0.5A or 1A). You can use a Multi-function button to switch between the modes accordingly. 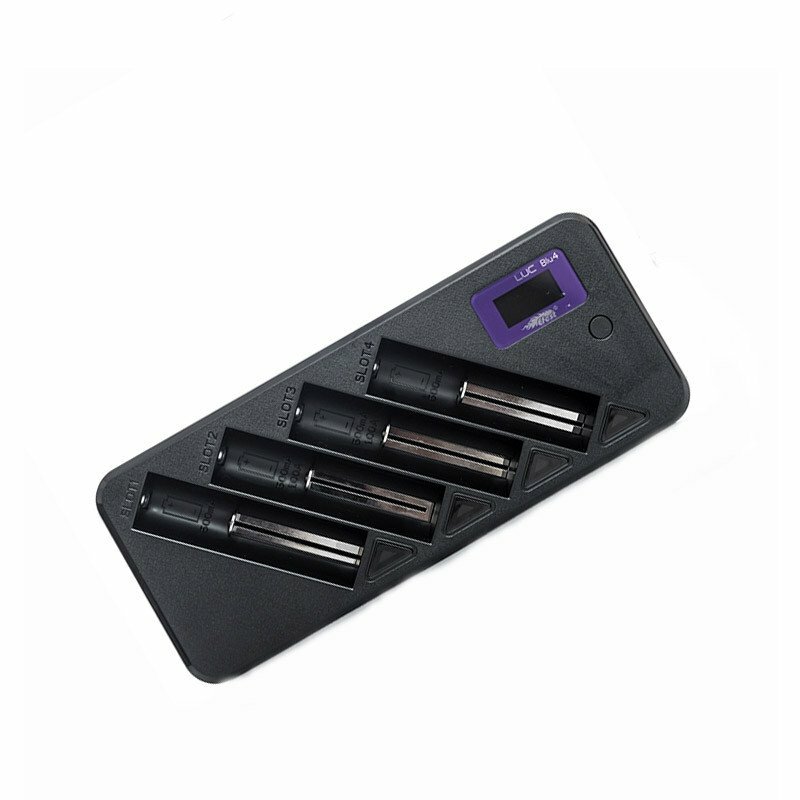 The charger is compatible with a wide range of 3.6V/3.7V Lithium batteries used in electronic cigarettes, as well as flashlights, electric tools, instruments, meters etc. Furthermore, each slot has built-in protective features such as reverse polarity, short circuit, and over charge protection. 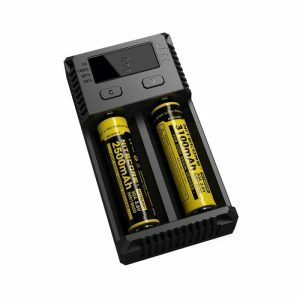 Given these points, the Efest LUC Blu4 Charger is a well-made and high-performing device, which comes in handy to any vape enthusiast. High-quality LCD screen which displays the battery voltage level and charging mode. Two optional charging modes (0.5A or 1A), changed easily via the Multi-function button. Can charge four batteries at the same time using 0.5A mode. Only Slot 2 and Slot 3 can charge batteries at 1.0A. Features built-in Reverse Polarity protection, Short Circuit protection, Over Charge Protection, Zero Voltage Activation Function. iOS and Android App functionality. Compatible with Lithium batteries: 10440, 14500, 14650, 16340, 16650, 17650, 17670, 18350, 18490, 18500, 18650 batteries. AC Input Power: AC 100~240V 50/60Hz. DC Output Power: DC 12V 1A. 0.5A CC Current: 500mA (+/-10%). 1.0A CC Current: 1000mA (+/-10%). Activation Current (Battery Voltage <2.90V): 10mA~100mA. Auto Cut-Off Voltage: 4.20 (+/-0.05V). CV Cut-Off Current: <10% Max Current. Auto Recharge Voltage: 4.10 (+/-0.10V). Operation Temperature: 0C ~ 40C.